But couldn’t fool the bees. She sat in her basket and buzzed. Let us not be fooled, all Love matters. 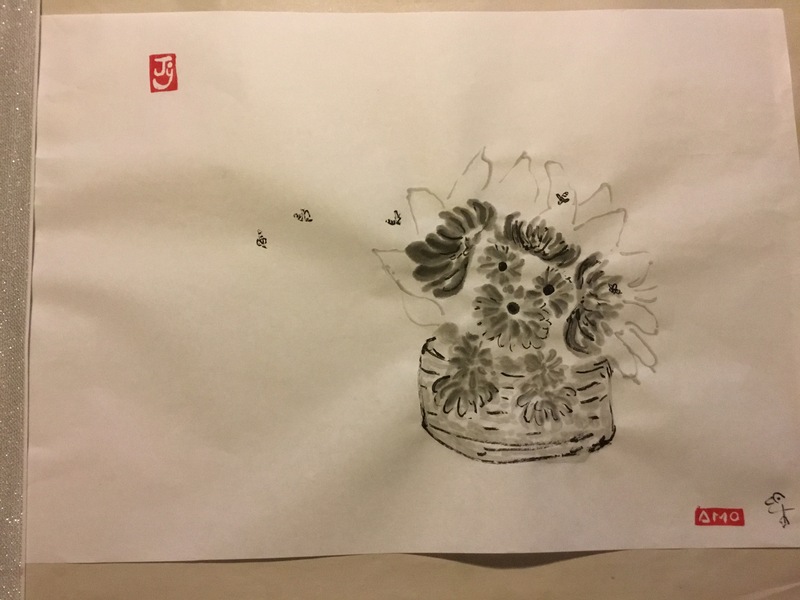 This entry was posted in The Now and tagged artist, bees, chrysanthemums, community, daily practice, dog made of mums, eco-chaplaincy, floral arrangements, four treasures, friendship, honesty, ink, Japanese ink brush painting, love, puppy floral arrangement, rice paper, sumi-e. Bookmark the permalink.